Potomac Pool Service | Serving Northern Virginia, Maryland, and D.C.
Potomac Pool Service offers a full range of swimming pool services, from one stop Real Estate Inspections, to full year round turn-key maintenance, to total swimming pool renovation. Given the broad array of individual services available, combined with the unique design and demands of each individual pool, we have outlined on the basic products and services that will cover the majority of residential swimming pool needs. Our most complete level of service, this includes our Spring Opening 2 and Fall Winterization 2, 15 weekly cleaning visits, and all chemicals required to keep the pool water balanced during the summer season. In addition we will provide 1 Winter Inspection of your pool facility for free, and any additional Winter Inspections beyond that at a 50% discount. This turnkey service will keep your pool clean, clear, and blue, leaving you free to enjoy it all season long. Potomac Pools Presidential Client Free Guarantee. We offer several options for payment. Packages may be paid in full upon sign-up to earn a 2% discount. Additionally, payment by check earns a 3% discount, meaning clients who pay for their package in full by check upon sign-up will receive a 5% discount. A package can be paid in full, or it can be billed by month, for the services rendered during that month. New clients who sign up for Presidential Service before April 1 will receive $100 off the last payment, or off the total if paid in full. Our intermediate level of service, this is a collaborative effort between Potomac and the pool owner. The VP service includes our Spring Opening 2 and Fall Winterization, 8 weekly cleaning visits, and 7 chemical treatment/backwashing only visits. We will provide the chemicals normally required to keep the pool water balanced during the summer season. In addition we can provide a Winter Inspection at a 50% discount if desired. This service will keep your pool water treated on a consistent basis, and give your filter consistent attention as well. It is important to note that the pool owner will need to clean the skimmers, vacuum the pool, and clean the auto-cleaner bag (if applicable) on a bi-weekly basis when our visits address the chemicals and filtration. New clients who sign up for VP Service before April 1 will receive $50 off the last payment, or off the total if paid in full. Our introductory level of summer service, this includes our Spring Opening 2 and Fall Winterization, and 8 bi-weekly cleaning visits. We will supply and apply chemicals required for the week of service. 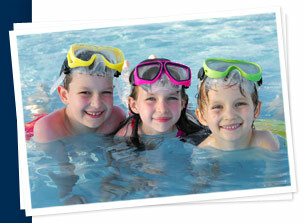 In addition we will provide 1 Winter Inspection of your pool facility at a 50% discount. This level of service is collaborative with the client, as the pool will require chemicals and cleaning during our off weeks, however it does ensure that a professional is working to help keep the pool clean, clear, and blue, cutting your workload in half. New clients who sign up for Judicial Service before April 1 will receive $50 off the last payment, or off the total if paid in full. This includes our Spring Opening 2 and Fall Winterization. In addition we will provide one Winter Inspection of your pool facility at a 50% discount .Upgrade to Congressional +, which includes a Winterization 2 with 1/2 hour of vacuuming, for an additional $45. Congressional Packages may also be paid in full upon sign-up to earn a 2% discount. Additionally, payment by check earns a 3% discount, meaning clients who pay for their Congressional package in full by check upon sign-up will receive a 5% discount. See Our Services Potomac offers a wide variety of services. Find out what fits you.